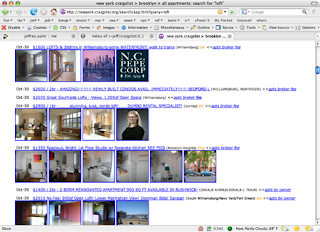 OFFICIAL PIMPS AND HOES: HOW TO VIEW CRAIGSLIST ADS WITH AN IMAGE PREVIEW! Get Exotic and Luxury Cars! "It's a cold world, so homie bundle up." - Lil' Wayne, "Hustler Musik"
HOW TO VIEW CRAIGSLIST ADS WITH AN IMAGE PREVIEW! Here is a step by step guide on how to view Craigslist with an Image Preview...meaning you will see the Ad and underneath it you will see the pictures for the ad without having to click on the ad to see. There are 3 steps..Follow In Order. Step 1: You will need to use FireFox as your Internet Browser, go to www.Mozilla.com and download it for free. After you have done that you should open your Firefox Browser..On the bottom right corner you should see an Image of a Monkey's Face.. that means that you have Grease Monkey in your Add-on. Now go to www.Craigslist.com and browse the ads as usual, you will notice that pictures will appear underneath the ads without having to click on the ads itself. Hope this tool is useful for everyone. ENJOY. HERE IS AN EXAMPLE OF WHAT IT WILL LOOK LIKE. THE LIFE AND TIMES OF GANGSTA BROWN!! PAYROLL THE PIMP GETTING ROASTED BY PIMPIN' KEN! ADD US TO YOUR MYSPACE FRIENDS CLICK HERE! Viewers of this Website are considered to be of legal age 18-21 yrs old. The information and posts on this website are intended for entertainment purposes only! All posts appearing on this website should be considered fictitious!. Any resemblance to real persons, actual events, actual places, or real situations are purely coincidental. Web owner assumes no responsibility for content displayed.